Extend the wireless range of compatible AcuRite products with a Wireless Signal Repeater. It’s the perfect accessory for monitoring large properties, for issues maintaining a strong, reliable wireless connection, or for those who have limited mounting options. Also works as a signal booster, helping you work around walls and other objects that interfere with wireless RF transmission. 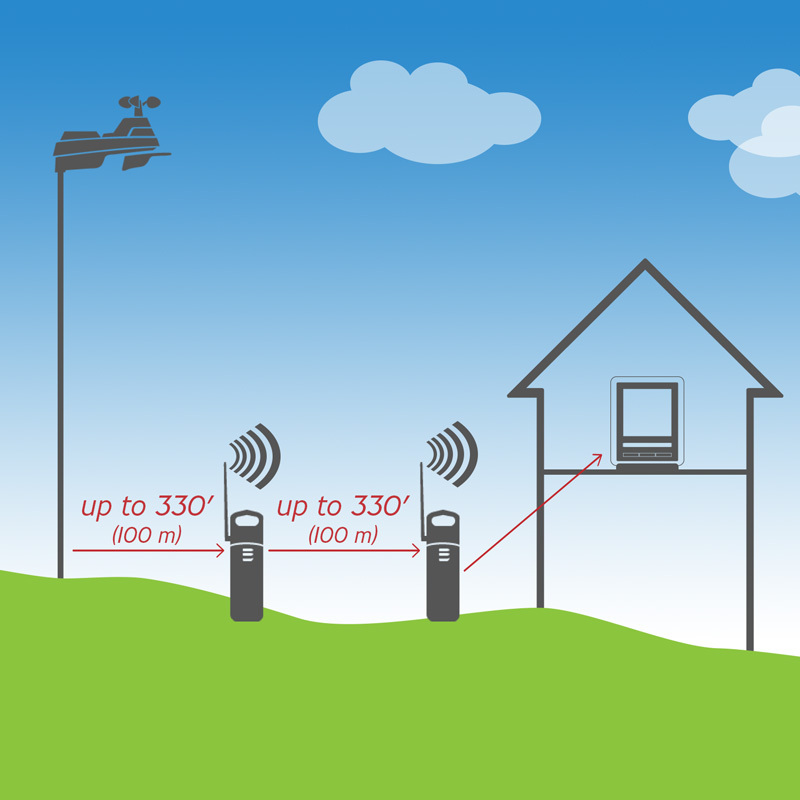 The sensor extender adds up to 330 feet (100 meters) of wireless range. Up to three (3) extenders can be used in a series. NOTE: Not compatible with the AcuRite Access. NOT COMPATIBLE with the AcuRite Access 09155M.